If you are being dropped off or collected from Heathrow Airport, this step-by-step guide will help you to smoothly locate your coach at the various airport terminals. Arriving At Terminal 1 ,3,4,5? Heathrow currently has 4 terminals; Terminal 1 and 3 which are located in close proximity to one another. There is also Terminal 4 and Terminal 5 which are approximately a 10 minute drive from the main Airport. Currently Terminal 2 is undergoing a major reconstruction and will be open again to passengers in 2014. Please ensure you check which terminal you are arriving at. If you scroll down you will find maps which will help you to locate your pick up point at each terminal. All coaches that pick up from Heathrow Airport must first obtain a coach permit which is issued at West Ramp coach park. West Ramp coach park is located just outside the main airport by Terminal 1 and 3. Once a permit has been obtained, your driver has to wait approximately 45 minutes till after the actual flight landing time before they can be released to the appropriate terminal. During busy periods it is very likely that the coach pick up points at the terminal may be full, in these circumstances the coach will not be released from West Ramp until a space becomes available. Once you have arrived at Heathrow, it is advisable to make contact directly with our driver at the earliest possible moment on the contact number provided or alternatively on our contact number 07931098225. If a Coach Marshall cannot be found the tour guide or representative should go to the information desk within the relevant terminal or call the West Ramp Coach Park directly on 020 8745 5833. You'll find BAA information desks in the following locations at Heathrow. When the information desk is closed, use the courtesy telephone provided to get help 24 hours a day. 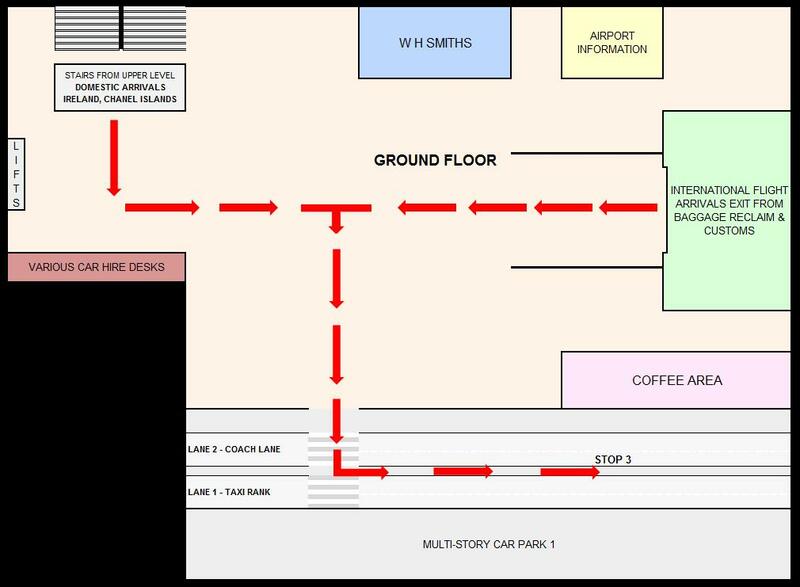 Terminal 1: In the arrivals area, near the car hire desks and meeting point (open 06:00 – 23:00). Terminal 3: In the check-in area (ground floor, Zone D, open 07:00 – 21:30); and in the arrivals area (ground floor, near the meeting point, open 05:30 – 22:30). Terminal 4: In the arrivals area, near the taxi desk (open 05:30 – 22:30). Terminal 5: The information zone is on the arrivals concourse, towards the north end of the building. Use the help terminals to find the information you need, or ask a BAA customer host if you need further assistance. 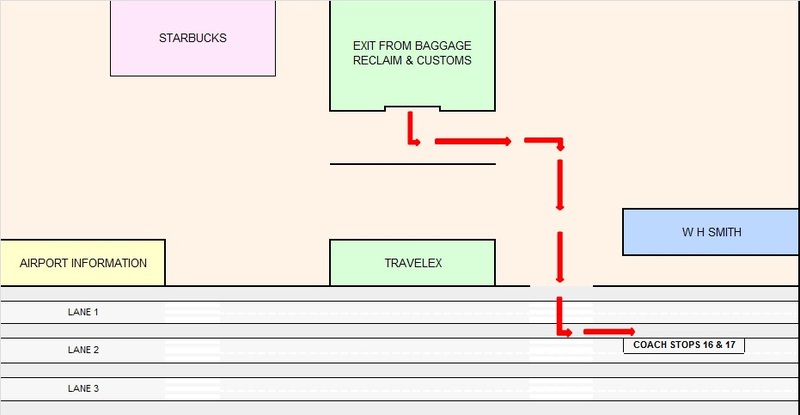 Maps illustrating pick up points at respective Heathrow Terminals. Terminal 2 – Currently this terminal is undergoing reconstruction as not due to reopen until 2014. Terminal 3 - Stop 3 - 5 are the current designated coach stops for private group pickups. Terminal 4 - Stop 16 & 17 are the current designated coach stops for private group pickups. Terminal 5 – Stop 16 to 16B are the current designated coach stops for private group pickups.